It’s getting harder and harder to actually call these posts “My weekend in junior hockey”. After all, the Ontario Hockey League and Western Hockey League didn’t have any games on Saturday or Sunday after the Windsor Spitfires swept the Barrie Colts out of the playoffs and the Calgary Hitmen took out the Tri-City Americans in five games. The Spitfires wrapped up their series last Tuesday with a decisive 6-2 victory over a rattled Barrie. Calgary finished off the Americans on Friday with an equally strong 6-1 showing. This leaves just the Moncton Wildcats and the Saint John Sea Dogs to settle the outcome of the Quebec Major Junior Hockey League’s President’s Cup. Moncton has a 3-2 edge on the series, but it would be foolhardy to count the Sea Dogs out just yet. After all, Saint John skated to the regular season championship with a 53-12-3 record, five points ahead of the second place Drummondville Voltigeurs and seven points beyond the Wildcats. 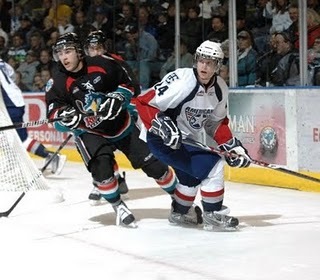 Their regular season match-ups were very close, with a 4-3-1 record tilting in favour of the Sea Dogs. That said, five of those games went to extra time, so this is a decidedly close pairing. For one of these teams to prevail and face the Brandon Wheat Kings, Hitmen or Windsor in the Memorial Cup tournament they’ll need their defence to step up. In their five games, the lowest shot count was Saint John’s 26 in Game 1. Since then, totals have routinely been above 30, with some games seeing as many as 44 shots on net. Both teams from New Brunswick need to bear down and slow down the game’s pace if they want to survive. For Moncton to achieve this they’ll need defencemen Mark Barberio, David Savard and Brandon Gormley to continue to lock down the Sea Dogs’ best forwards. Saint John will look to winger Nicholas Petersen as well as rearguards Nathan Beaulieu and Yann Sauve to be lights out in their own end. Taylor Hall and the Windsor Spitfires have a commanding 3-0 series lead over the Barrie Colts. In any playoff final there is the expectation that the teams will be pretty evenly matched. After all, they’ve survived the regular season and the first few rounds of the post-season. This year though, the Canadian Hockey League finals across the nation are all well in hand. In fact, they could all end up as four-game sweeps. Here in Ontario, the focus has been on the Windsor Spitfires’ dominance of the Barrie Colts. The defending Memorial Cup champions looked to be dead in the water after falling behind the Mississauga St. Michael’s Majors 3-0 in their Ontario Hockey League semifinal match-up. But the Spitfires rallied to win that series 4-3 and now they are up on the Colts 3-0. I covered the second game of that series for the Canadian Press and it was clear from the action what the problem is: Windsor absolutely owns the neutral zone. Several of their goals came from turnovers between the blue-lines and Barrie could barely get the puck over half. 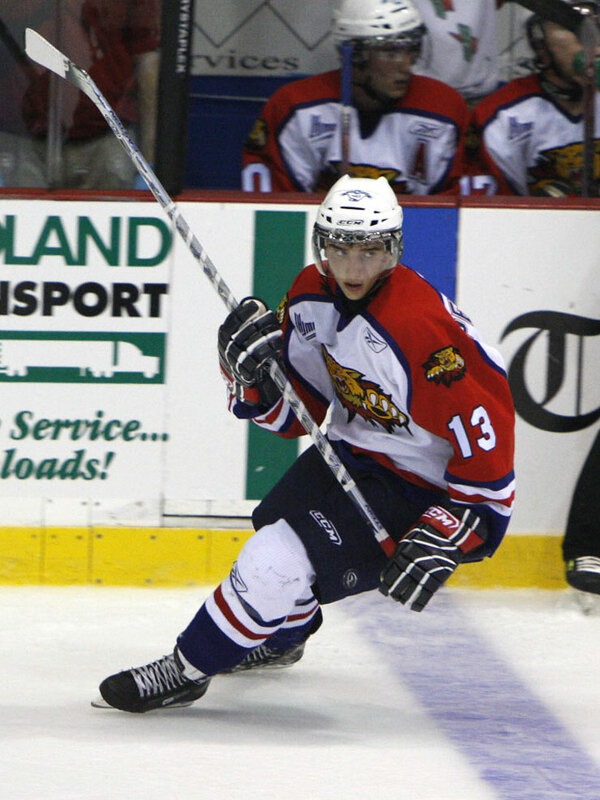 Out in New Brunswick, the Moncton Wildcats have also quickly established a 2-0 lead over the Saint John Sea Dogs in the Quebec Major Junior Hockey League final, including a 9-3 thumping in Game 2. Things are even more lopsided in the Western Hockey League, as the Calgary Hitmen opened their series against the Tri-City Americans with a resounding 7-0 victory. They followed that up with a 4-1 victory to take a two-game lead in the series. As a fan, I’m disappointed that these series are going by so quickly. Ideally, all series would be close with lots of back-and-forth between the two teams. That said, good for the Moncton Wildcats, Windsor Spitfires and Calgary Hitmen. They should be proud of themselves for coming out so strong in the crucial step to the Memorial Cup. It's too bad that it comes at the expense of some high drama. Generally, things are unfolding as they should in the second round of the Canadian Hockey League playoffs. By and large, the favourites are dominating. The Quebec Major Junior Hockey League is a perfect example of this: the Victoriaville Tigres are out to a 3-0 lead in their series with the Quebec Remparts, while the Saint John Sea Dogs, Moncton Wildcats and Drummondville Voltigeurs are all up 2-0. Not surprisingly, the Windsor Spitfires and Barrie Colts are continuing their dominance in the Ontario Hockey League, quickly establishing 3-0 leads in their match-ups. The Ottawa 67’s are up on the Mississauga St. Michael’s Majors 2-1. The London Knights have a similar lead over the Kitchener Rangers. The Western Hockey League is no different: the Vancouver Giants, Brandon Wheat Kings and Calgary Hitmen all have solid 2-0 leads. No, there is only one team that has been a disappointment this post-season: the Tri-City Americans. Although Tri-City finished the regular season at the top of the Western Conference’s standings, they really stumbled to the end of the year, going 5-5 in their final 10 games. 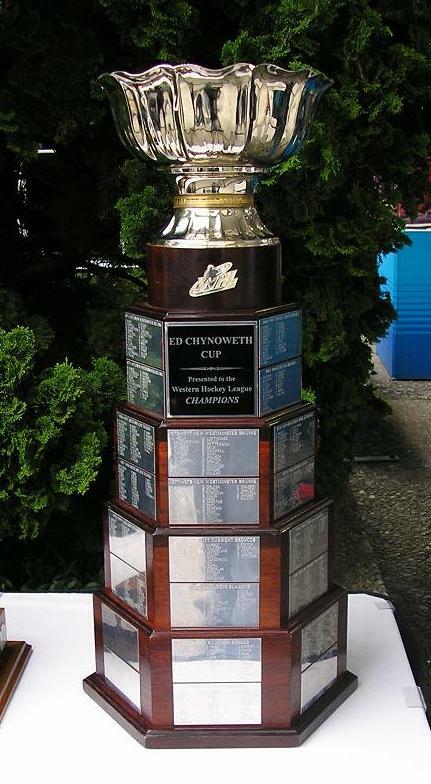 If it wasn’t for the Spokane Chiefs beating the Everett Silvertips 3-2 in literally the last game of the WHL season, the Americans would have finished in third in their conference and had a much tougher pairing in the opening round of the playoffs. Surprisingly, Tri-City struggled in that opening pairing against the Chilliwack Bruins, eking out a 4-2 series win. The Americans game, at its height, is marked by a balanced approach with and without the puck. Although they had the third-best offence in the league their best scorer, Brendan Shinnimin, was only 14th overall. Similarly, Tri-City had the least number of penalty minutes (986) in the entire league. A real accomplishment, considering the rough-and-tumble style of the WHL. That kind of discipline has disappeared in the past month of Americans’ play, and it is hurting their chances of contending for a WHL championship. Sean Couturier made sure his Drummondville Voltigeurs started their second-round Quebec Major Junior Hockey League playoff match-up on the right foot. Anthony Nigro and the Ottawa 67's made a statement in the second game of their Ontario Hockey League playoff match-up Friday night. 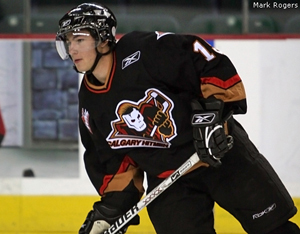 Kris Foucault kept the Calgary Hitmen's post-season roll going on Friday night. The Saint John Sea Dogs are rolling through the Quebec Major Junior Hockey League playoffs and don't seem ready to let up. The Vancouver Giants and Portland Winterhawks opened their Western Hockey League playoff series with a bang on Saturday night. Luke Pither's impeccable sense of timing has the Barrie Colts in control of their Ontario Hockey League Eastern Conference semifinal.